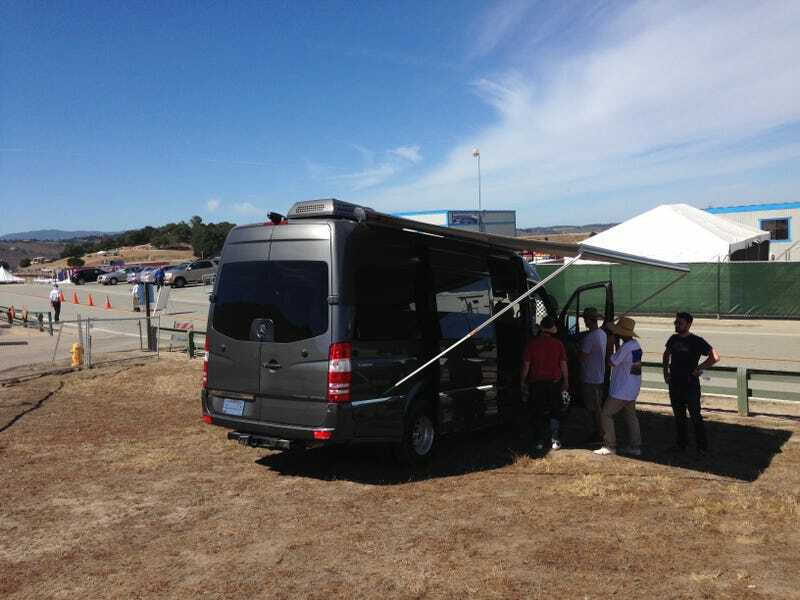 We’re at the Rolex Motorsport Reunion at Mazda Raceway at Laguna Seca in a comfy Roadtrek CS Adventurous. We’ve got shade, music, and sweet sweet Jalopnik stickers. We’re in Blue Mazda 2 parking (thanks Mazda!). I love RVs and thus I’m pretty excited we’ve got this vehicle for the week as it’s saved our bacon a few times. Come live the lifestyle with us.